A Dominion of the Fallen short story set during the coup that brought Asmodeus to be head of House Hawthorn, twenty years before the start of The House of Shattered Wings. 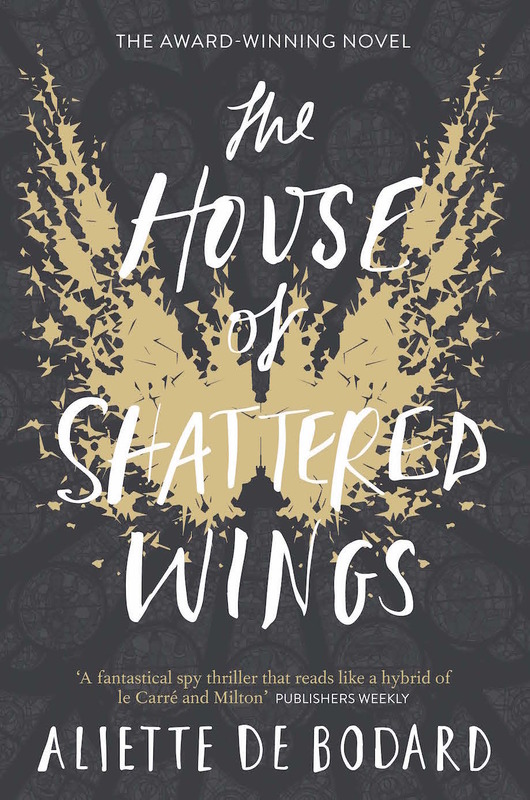 Currently in the print edition of the UK mass market paperback of The House of Shattered Wings. They lined up the loyalists before they executed them – like bartered flesh on display for their master’s pleasure one last time, before the guards took them away to the back of the House’s gardens; before the smoke from the pyres filled the air, acrid and bitter in the lungs, making eyes stream with tears that dared not be shed. And there was no doubt, whatsoever, who the master was. He walked with the easy, lithe grace of predators; with slow, deliberate steps like a lynx or a tiger, making barely any noise on the gravel before the House of Hawthorn; his long-fingered hands loosely wrapped around the silver handle of a cane he had no need for – he was Fallen, and his body did not change, or decay with age. From time to time, Asmodeus would stop, look at one of the loyalists for a time; as if weighing the value of what he had before him; and point with the tip of the cane, lazily, before moving on. The guards would take the condemned person from the line, and bring them back to the House.